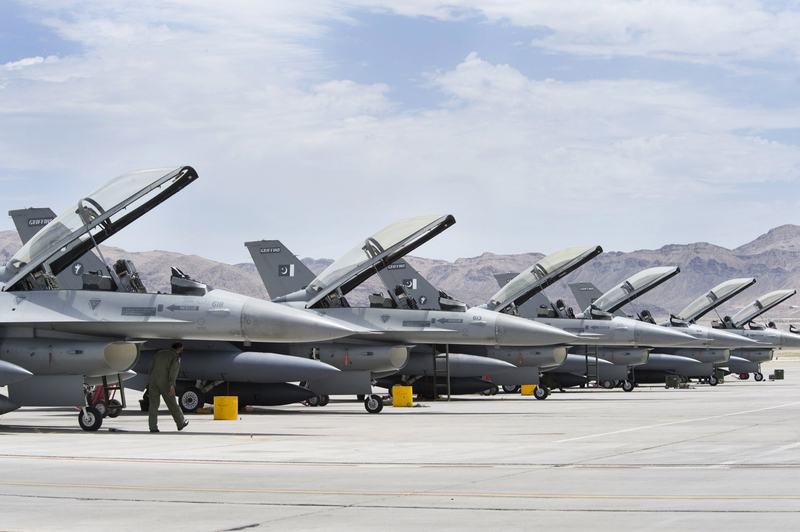 Bulletin of Atomic Scientists' latest report revealed Pakistan is expanding its nuclear arsenal, developed a stockpile of 130-140 warheads for delivery and converted some of its fight jets, including F-16s, to deliver nukes. Hans Kristensen and Robert Norris authored the report 'Pakistan's Evolving Nuclear Weapons Infrastructure'. Commercial satellite images of Pakistan's army garrisons and air force bases show nuclear-related mobile launchers and underground facilities. The report stated: "We estimate that Pakistan now has a nuclear weapons stockpile of 130-140 warheads. This stockpile exceeds the projection made by the US Defense Intelligence Agency in 1999 that Pakistan by 2020 would have 60-80 warheads." Pakistan is expanding its nuclear arsenal with more warheads, delivery systems, and a developing fissile materials production. The report said Pakistan's stockpile could increase over the next ten years with several delivery systems under development, four plutonium production reactors and uranium enrichment facilities expanding. The scientists speculated Pakistan might become the third-largest nuclear weapon country with a stockpile of 350 warheads in a decade. Can Pakistan's nuclear weapons target India? The scientists estimate Pakistan could become the world's fifth-largest nuclear weapon state by 2025 with 220-250 warheads. The report said "unless India significantly expands its arsenal or further builds up its conventional forces" Pakistan's arsenal wouldn't grow indefinitely. India reportedly has 100-120 warheads. Pakistan's satellite images show nuclear-related vehicles and missiles that can strike targets within a 100-km range - most places in India. The report stated that a division of Pakistani Air Force fighters, capable of delivering nuclear warheads, are kept at the Masroor Air Base, West of Karachi. The air base offers a massive underground facility - possibly a command center - located in a high-security area. The report also revealed Pakistan's primary means of delivering nuclear weapons are through cruise and ballistic missile systems. Hans Kristensen said there are bases, including "army garrisons at Akro, Gujranwala, Khuzdar, Pano Aqil, and Sargodha. A sixth base at Bahawalpur may be under construction. There is also a seventh base near Dera Ghazi Khan, but infrastructure is very different and not yet convincing." Pakistan could possibly assign a nuclear strike mission to select F-16A/B and Mirage III/V fighter squadrons. F-16s were probably the first in the nuclear role which were later joined by Mirage. The US, in 1983-87, supplied the F-16A/Bs to Pakistan. In 1989, the US Department told Congress "none of the F-16s Pakistan already owns or is about to purchase is configured for nuclear delivery." The report stated: " Pakistan will be obligated by contract not to modify additional F-16s without the approval of the United States. Yet, there were multiple credible reports at the time that Pakistan was already modifying US-supplied F-16s for nuclear weapons." According to the data compiled by NGO Praja Foundation, North Mumbai (Malad-Dahisar) is the most unsafe area for women. After demonetizing Rs.500 and Rs.1000 notes, Prime Minister Narendra Modi said he has more projects in mind to rid India of corruption. The North Pole has reportedly been recording alarming temperatures at least 20°C (36°F) above average.